[스타뉴스 이지현 기자] Behind-the-scenes of 2NE1’s newest MV “COME BACK HOME” was revealed. A short video of just 4 minutes and 14 seconds feature various aspects of 2NE1 including the introduction of the song, the concept of the video, and what the members think about the video and the comeback. Each member showcases different hairstyles, and they are fully committed to the video despite the cold weather. Some playful moments gave the fans a source of entertainment as well. Oh my! So instead of a live performance, 2NE1 revealed “COME BACK HOME” Behind The Scenes! So cool! Make sure that you watch it with the English subs! ^^ We see more of actress Daraaaa! Wahhh! Such a beautiful presence, we seriously need more of actress Dara in our lives! ❤ And how cute is she when she said, “I’m from the Philippines, there’s only summer there,” kekeke! The girls were freezing to death. T_T Such dedication though! 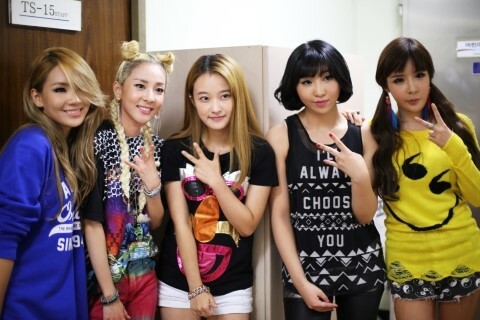 2NE1 Come Back Home, FIGHTING! The eldest daughter of Mr. Park Hak-Gi, Seung Yeon, was in the waiting room as well, in a photo with all of the 2NE1 unnies! Check out behind the scenes footage of 2NE1’s “I Love You” MV! The girls are looking gorgeous! How beautiful does Dara look with what pink hair? I hope she performs live with that hair! I absolutely love it! Dara: 2NE1 will be singing a love song for the 1st time. Were you shocked? We were shocked too! Hate you then suddenly I love you.